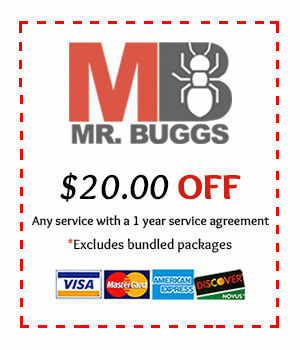 Mr. Bugg’s Pest Patrol, Inc., we serve the mosquito control needs for the surrounding areas. With mosquitoes being such a prevalent issue around this area, we felt it was crucial to offer this service to our customers. Our Mosquito Reduction Service is a 7-8 month program that typically runs from April through October (can be extended from March through November depending on the weather). 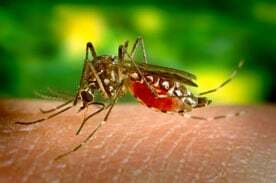 Mosquitoes breed in standing or stagnant water and the adults “rest” in shaded areas, primarily on the underside of foliage, during the heat of the day. For this reason, they are most active during the early morning hours or closer to dusk when the temperatures are lower. With this is mind, Mr. Bugg’s assesses each situation on an individual basis. With every home’s layout being different and the surrounding foliage also being different, a thorough evaluation of each customer’s property is necessary in order to develop the most effective plan for mosquito reduction. We will assess each property and all its immediate surroundings to determine what course of action would best be suited for your individual needs. In some cases, a combination of larvacides in standing water along with an adulticide application to the foliage is the best plan of attack while in other cases simply treating the surrounding foliage is sufficient. In either case, the results for this program have been overwhelmingly positive, and we are very eager to offer it to all our current and future customers. 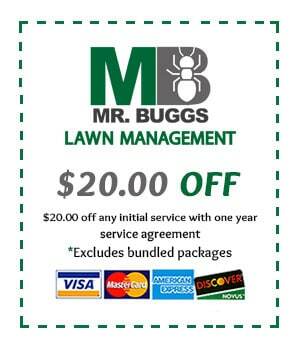 Call today for a FREE evaluation and estimate!! !